Towering snow walls, gushing waterfalls and the highest dam in Japan, that’s taller than a 50-floor skyscraper… There and more delights in store, when you travel to Japan and embark on the Japan Alpine Route Tour! 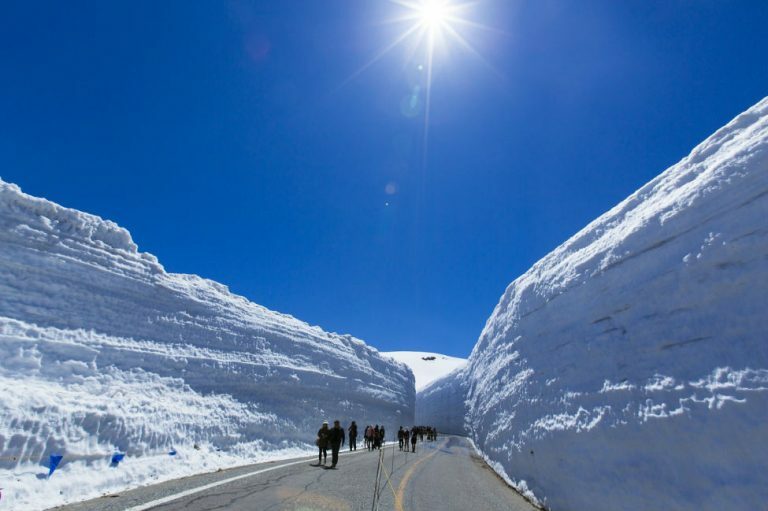 An absolutely unforgettable experience on your Japan tour would be the Tateyama Kurobe Alpine Route tour. 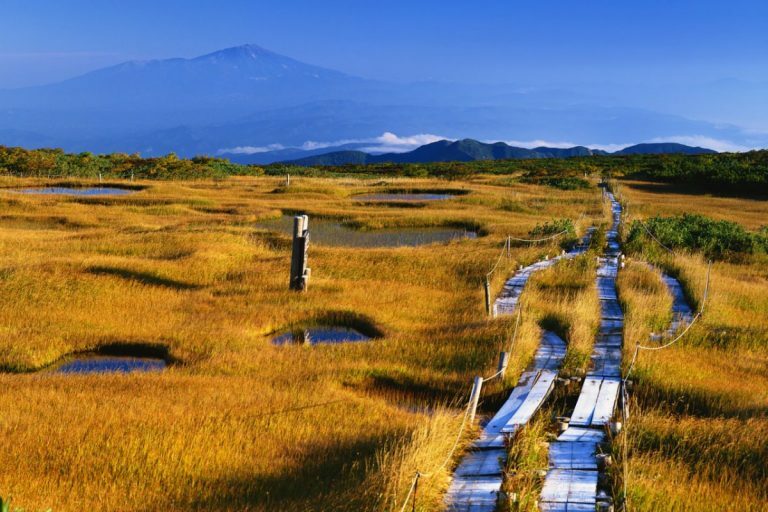 A mountain sightseeing route between Tateyama, Toyama and Omachi, Nagano, Japan, this alpine route tour package takes you straight into the heart of the mountains with ease. The Tateyama Kurobe Alpine Route is just 37 km in length. However, the vertical interval is as much as 1,975 m! The route uses seven different forms of public transport with five different modes, namely funicular, bus, trolleybus, aerial tramway, and walking. 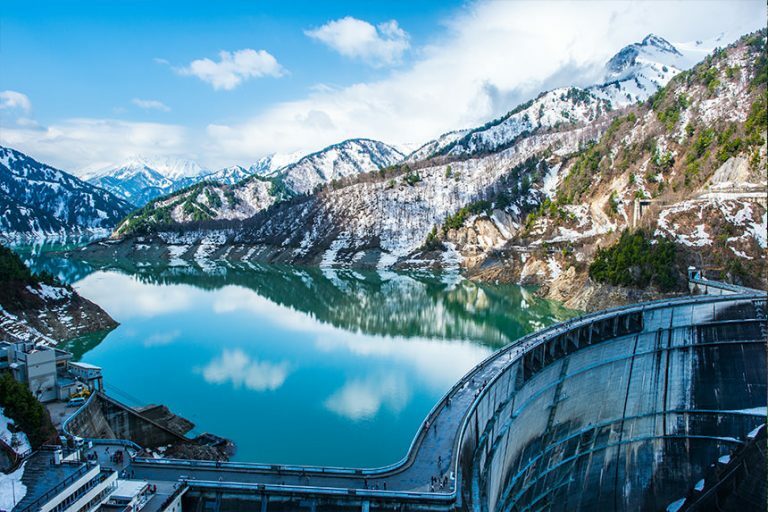 The alpine route passes through Tateyama in the Hida Mountains, and includes many scenic sites as well as walking trails, including Japan’s largest dam, Kurobe dam. Some stations have hotels around them and are used as bases for mountain climbing or trekking, mainly near Tateyama Station as well as up on the mountain by Murodo Station. Summer months, from April 15 to mid-June are the perfect time to enjoy the touch and feel of the sparkling snow walls called Yukino- ōtani. These impressive, icy snow walls are around 50 to 65 feet high. Walk between this 500 metre-long expanse of snowy wonders for an out of this world experience! 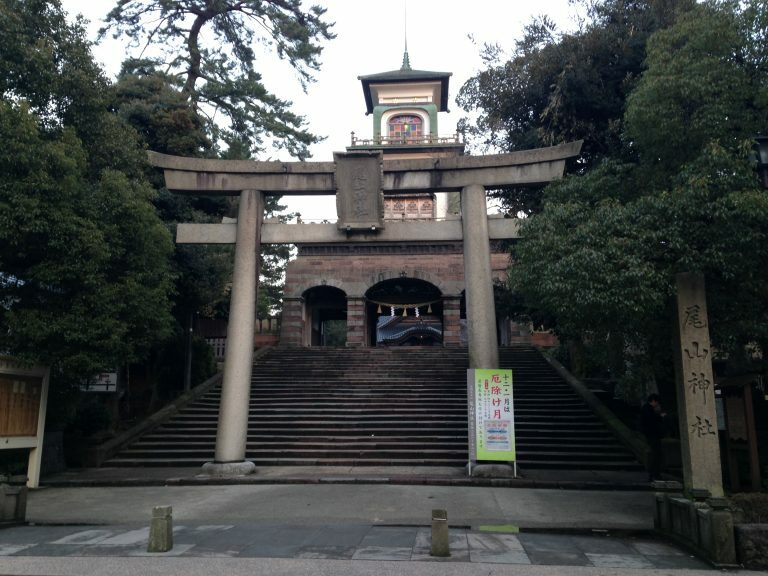 Oyama Shrine, located near Oyama peak, is dedicated to Maeda Toshiie, the first lord of the powerful, local Maeda clan. 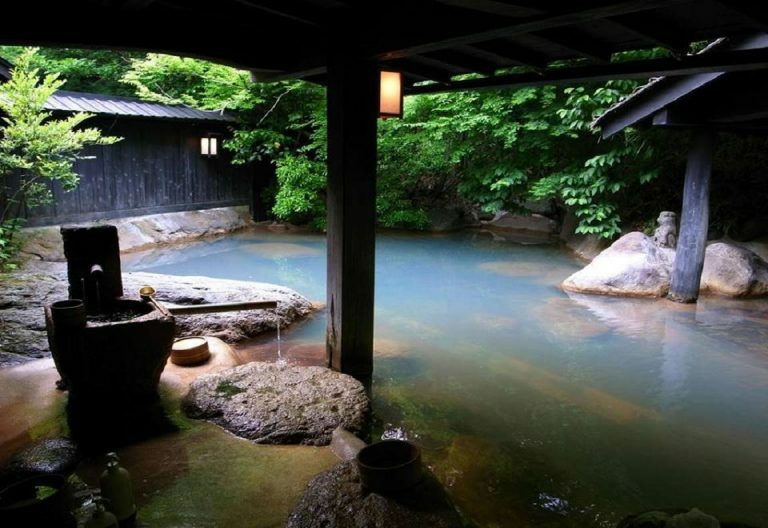 It was constructed in 1599 by Toshiie’s successor, Maeda Toshinaga on Mount Utatsu. It was later moved to its present location. It is known for its unusual gate, which was designed by a Dutch architect, using elements of European and Asian religious themes. Climbers can receive a blessing and warm sake from a priest. Standing at 610 feet, the Kurobe Dam is on the upper stream of the Kurobe-gawa River. This arched concrete dam is the highest in Japan – it is taller than a 50-floor skyscraper! The dam’s observatory offers stunning views of the Tateyama Mountain Range and the North Alpine. Visit between June 26 and October 15, and marvel at the sight of the gushing water discharge at the dam. This flat area of plains, studded with blue ponds, makes for a great walking zone. These expansive wetlands are a delight in summer with colourful butterflies and white fluff from the blooming hare’s-tail cottongrass. 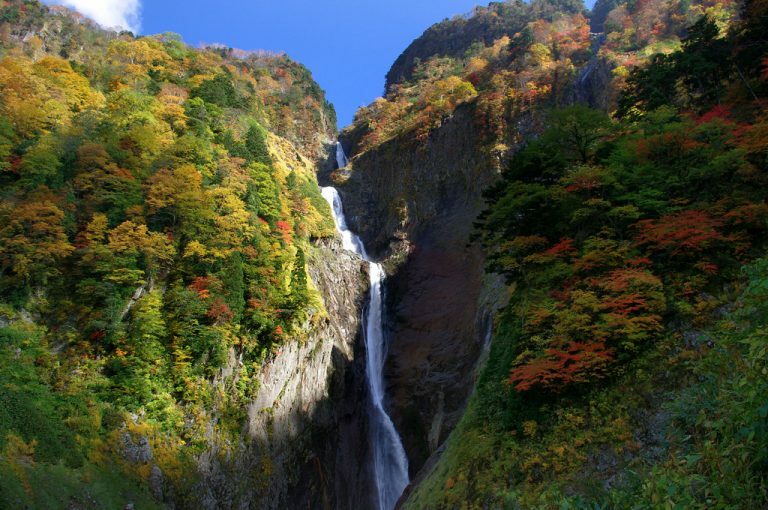 Located in Tateyama, Shōmyō-daki is the highest waterfall in Japan at 1,148 feet. The falls have four stages. It is best viewed in early summer when the snow in the mountains melts and gushes over the falls. A large bridge, as well as two viewing platforms guarantees, close views of the falls. Previous Post Lahaul-Spiti Tour: Escape to the Mountains!